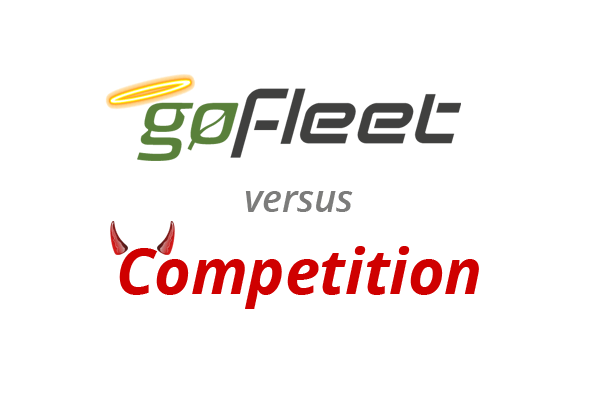 GoFleet Versus the Competition | Why are we different? With the large continuous telematics growth it is no surprise how many other GPS fleet management companies are out there today. Being in such a highly competitive market it is hard for consumers to make a truly educated and confident decision when choosing their fleet management partner. What makes GoFleet stand out?! Let’s start with the basics. When you are looking for a partner in fleet management what is your number one focus? Return on investment (ROI). Customizable rules such as late arrival, early leaving, idling, unauthorized home stops, too much office time, long lunch, etc. Congregation reporting highlighting if/when your drivers are meeting for long lunches, etc. Our 5 main pillars are our heart and soul and really make us stand out. The capabilities of our system far outweigh our competitors which is why we always invite our prospective customers to test out our solution along side our competitors to see the results and capabilities for themselves. There is no other solution on the market currently offering the patented curve-based tracking that we do. Our competitors use time-based intervals (normally around every two minutes) to track vehicles however we use science and accelerometer. Our competitors risk losing valuable information such as in the case of an accident. With our curve based tracking any sudden movements within the vehicle will always be tracked, along with any sort of turn or anything else. Typically it is around every 15 seconds but could be slightly more or less depending on the situation. Many of our competitors have limited customization capabilities and can often only be done by the vendor themselves. However, we offer an unimaginable amount of customization options that can be done by either our customers themselves or we are happy to help. At the end of the day, choosing the best fleet management software is not easy so it’s important you do your research. Without doing research you’ll likely end up with the cheapest solution you come across with outdated features that will not give the ROI you are looking for.